Posted on November 28, 2018 by Heather W.
As a parent, it is really important that you do everything you can to keep your family healthy. The good news is that this is not as difficult as you might think. In this article, we are going to give you some of our top tips for keeping your family healthy. Keep reading to find out more. Our first tip involves planning meals well in advance to ensure that you are only eating healthy things. It can be easy to buy a takeaway when you don’t have any food in the house or if you are running low on time. 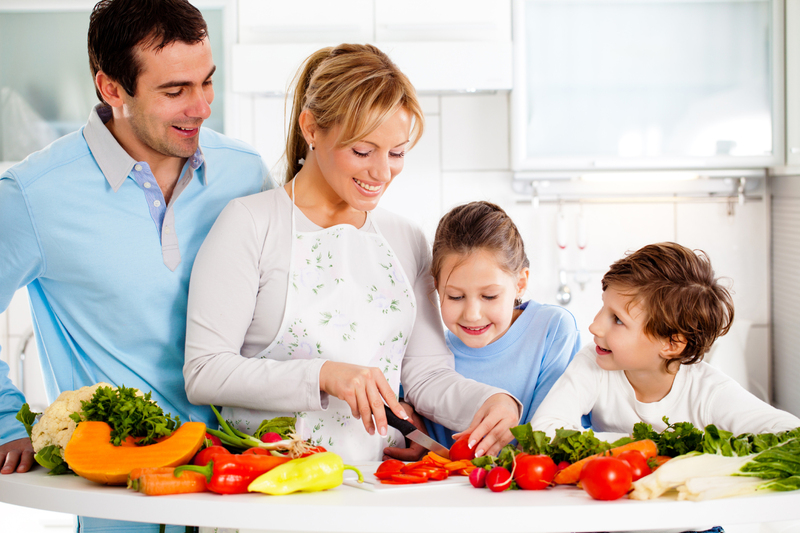 If you spend one day a week planning your meals, doing some shopping and maybe even batch cooking, you can ensure that your family are eating a healthy diet. Many people tend to underestimate the importance of first aid, but this is something which should be avoided. If you have a family, you need to make sure that you have a first aid kit somewhere that you can easily access when you need it most. This will help you to treat any minor injuries as soon as they happen and make sure that your family are safe. Do you drink enough water? It is really important that both you and your family are drinking the recommended amount of water each day. If you struggle to get your kids to drink water, then only put water on the table at dinner time to make sure that they get at least some each day. If you all drink the right amount of water, you will stay hydrated and healthy. One of the best ways to make sure that your family is healthy is to do some exercise together. Think about taking your kids out for a bike ride or playing a game with them in the park. You should make sure that you are exercising with them to ensure that you stay healthy and that you are a good example to them. Try your best to exercise together if you want to make sure that you are healthy. If you aren’t looking after yourself then you will find that you are not keeping your family healthy. Many parents focus on keeping their kids healthy and forget to look after themselves. This is something which you should avoid if you want to make sure that you are there for your kids. Make sure that you are eating properly and getting the right amount of exercise. If you can keep yourself healthy then you can set a good example to your kids. Looking after your family is really important so makes sure to follow all of our advice on how you can keep them healthy. Remember to get your hands on a first aid kit for your home if you don’t already have one and live a healthy lifestyle.